The Flat Earth Society may finally have a reason to rejoice over something, as the most recent photos taken by New Horizons show that the mysterious object Ultima Thule is actually flat. NASA’s New Horizons spacecraft took pictures of Ultima Thule when it conducted a flyby on New Year’s Eve. Scientists had already gaven a couple of names for the mysterious object orbiting the sun beyond Neptune and Pluto. One of them was “snowman.” However, the new images show that the object is flat like a pancake. NASA’s New Horizons spacecraft was launched in January 2006 as part of the $720 million mission to visit Pluto. The probe arrived to the dwarf planet in July 2015, showing the extremely unique look of Pluto that scientists hadn’t seen before. However, given that the spacecraft was in good health, scientists wanted to test it in the distant icy objects orbiting the sun inside the Kuiper belt. Scientifically, the mysterious object Ultima Thule is known as 2014 MU69. When the first images of the spacecraft arrived, scientists thought Ultima Thule looked like a bowling pin, with the name of “snowman” given to it. During New Year’s Eve, the probe approached at 2,200 miles from the body. 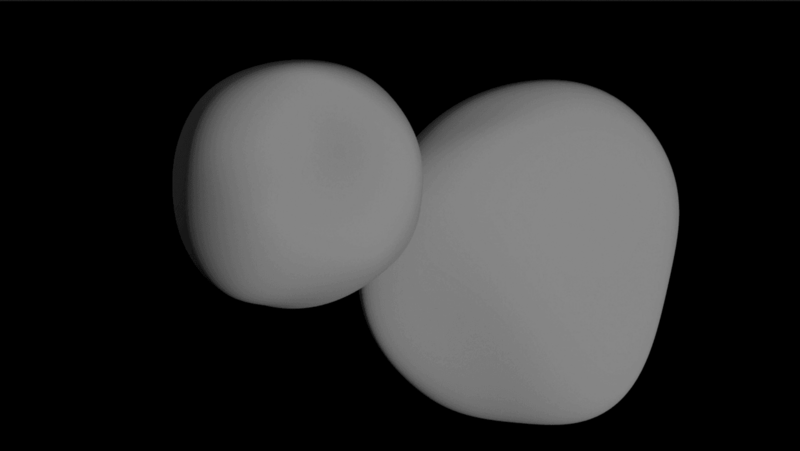 Those pictures suggested that Ultima Thule was two bodies orbiting each other, of which both looked spherical. The new images have changed what scientists think. Taking long-exposure photos of the object, at a distance of 5,494 miles shows that Ultima Thule is more flat rather than consisting of two objects in spherical shapes, raising the question of how could such a flat object orbit the Sun. The photos revealing the flat nature of the mysterious object Ultima Thule are the last of the object. However, this is not where the mission ends. Scientists estimate that it’ll take the spacecraft around 20 months to send all the flyby images and measurements, so it’s expected that we’re going to learn a lot more about the icy object inside the Kuiper belt. Moreover, given the good health of New Horizons and sufficient amount of fuel, if NASA allows another mission extension, New Horizons may explore some new worlds. Right now, the mission runs until 2021, but continuing it would allow for more scientific discoveries, should everything go as planned.